Black Friday was good, but trust us, the HEXUS Epic Giveaway is better! Our annual spate of competitions is back and bigger than ever, giving you the opportunity to win amazing prizes every day throughout the holiday season. It's our way of saying thank you to all our fabulous readers. The 2018 goodie bag has grown to epic proportions, courtesy of many big-name manufacturers. We have gear up for grabs from the likes of AMD, Corsair, EVGA, Nvidia and Scan Computers, to name but a few. It's going to get hectic, so be certain to bookmark our dedicated Epic Giveaway homepage to keep tabs on each new competition as it arrives. 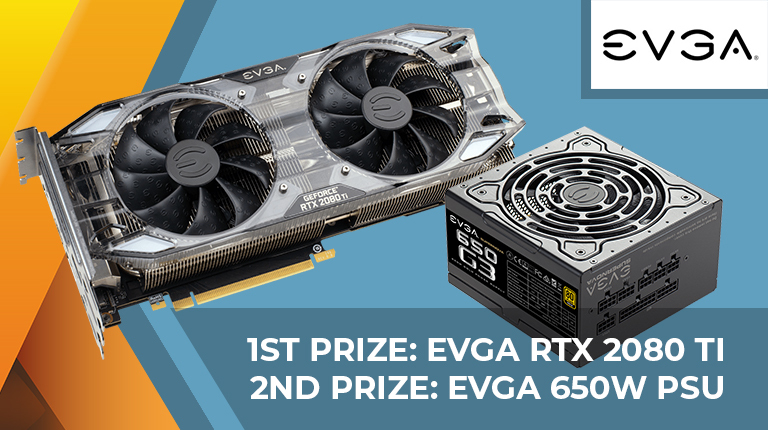 Getting this year's Epic Giveaway off with a bang is EVGA, whose prize on Day 1 is a mega fast GeForce RTX 2080 Ti XC Ultra Gaming graphics card. It doesn't get much more epic than that, but just because we can, we've also bagged a 650W EVGA Supernova 650 G3 80 Plus Gold power supply for our runner-up. The competition winner will be picked at random from all eligible entries that arrive by 09:00 London time on the closing date, December 17, 2018. First prize is an EVGA GeForce RTX 2080 Ti XC Ultra Gaming. Second prize is an EVGA Supernova 650 G3 80 Plus Gold 650W PSU. That's a nice 1st price right there! Pretty awesome prize for the first day! Plus I won't make enough use of it to deserve it… my gaming “skillz” have disappeared. I've got two games I'm totally stuck on as you HAVE to do it exactly as the developer intended and keep playing and dying until you figure that out. That trial and error rubbish enrages me.